. كما يقدم سومرست أون إليزابيث، ملبورن الكثير من الخدمات لإغناء رحلتك في ملبورن. هذه بعض الخدمات الموجودة في هذا الفندق: واي فاي مجاني في جميع الغرف, مكتب الاستقبال على مدار الساعة, مرافق مخصصة لذوي الاحتياجات الخاصة, تخزين الأمتعة, واي فاي في المناطق العامة. استمتع بوسائل الراحة الراقية في الغرف أثناء إقامتك هنا. بعض الغرف تتضمن اتصال لاسلكي بشبكة الإنترنت (مجاني), غرف لغير المدخنين, مكيف هواء, تدفئة, مكتب لمساعدتك على استعادة طاقتك بعد يوم طويل. صممت خدمات الاستجمام في الفندق والتي تتضمن حوض استحمام ساخن, مركز للياقة البدنية, ساونا, سبا لمساعدتك على الاسترخاء والراحة. إن سومرست أون إليزابيث، ملبورن هو خيار ذكي بالنسبة للمسافرين إلى ملبورن، بما يوفره من إقامة هادئة ومرحة. تتوفر خدمة النقل من وإلى المطار مقابل تكلفة إضافية قدرها 105 دولار أسترالي تستوعب 4 أشخاص. يرجى الاتصال بالعقار مباشرة من أجل حجز التنقلات. The hotel’s location is excellent, great staff, plenty of restaurants just outside the hotel and hotel is very clean.So grateful for letting us check in early, that was really appreciated.. Will definitely recommend it to family and friends. This is probably my third time at Somerset on Elizabeth. This time it was just for a night before we went off to our Airbnb out of town. Always reliable on quality, location is still fantastic with everything just a walk away. Staff's always professional and rooms comfortable. Hi Nadia, We are delighted to learn that you enjoyed your stay with us. At the same time, we are happy to have met your expectations in service and quality standards. Receiving such positive feedback from our residents motivates us to further improve our commitment to delivering good service. Udaya Herath, Assistant Guest Service Manager. Superb location for shopping and located within the free tram zone. Minutes to Chinatown, H&M, David Jones and the State Library of Victoria (must see). Took the taxi from the airport to hotel which cost $67 but took the Skybus on the return from 4 blocks away at only $18 per person. Will definitely stay again here. Good size clean apartment with plenty of room. Staff friendly. Best location. Very close to China Town and Little Bourke Street mall. 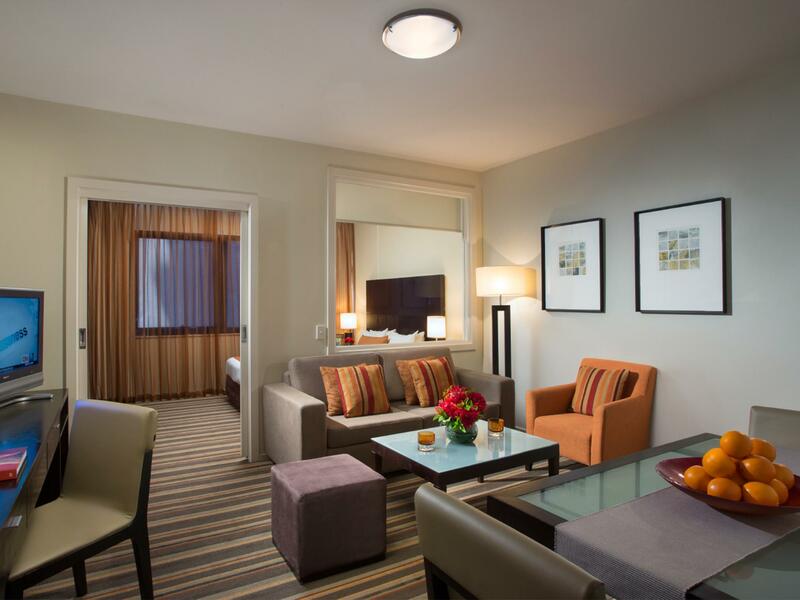 Very good value for your money and very cozy apartment like style but with hotel perks. i always stay here when i visit Melbourne. i love the location and the surrounding. the staff were also very friendly and helpful. the room is quite spacious and the provide the washing machine,microwave and stove, ideal for family with young children like us. The hotel is comfortable, clean and staff very welcoming. I arrived late at night and my room had a musky smell. I have stayed at this hotel previously and had the same issue with the room. I opened the window the next morning and that seemed to help. Maybe the curtains and blinds need a clean. Shame that this is an issue as the experience is positive apart from this. Good location, close to shopping district. Walking distance to 3 supermarkets. The room was spacious, toilet was big and clean. Amenities were well thought out. Would definitely recommend or return here again. Check in is quick and they happily oblige any requests. Great location and very spacious. Quieter rooms are at the back away from the street noise. Always clean. Excellent location and great service. Never fail my expectation as always. Great location, one block behind H &M. Friendly staff. Easy access to trams and trains. Comfy bed. Very spacious, comfortable bed and always clean. Had a room away from the street so nice and quiet. Wouldn't stay anywhere else in Melbourne. Very comfortable and convenient place. First time in this hotel and no hesitation in recomending to anybody. Location in center, close to all the shopping mall and transportation. Big room, although they don't change sheets everyday that didn't bother us much. Nice staffs. Washing machine dryer didn't work. I asked for the room not facing the street, so no noise problem at all. Dear Nakamol, Thank you for posting your review following your recent stay with us. We are delighted to read about your positive experience and are thrilled to read that you found our staff to be friendly and helpful.I am glad to hear that you had a nice quite room. Thank you & we hope to welcome you back again in the future. Warm Regards, Udaya Herath, Assistant Guest Service Manager. The team at Somerset on Elizabeth Street is warm and very helpful, in a competitive landscape they really make the extra bit of difference, which cannot be replaced by swanky rooms and facilities. Awesome experience as always! Dear Jianwei, I am thrilled to hear that you had an another pleasant stay with us. We have a very passionate team, here at Somerset on Elizabeth, and I am extremely proud that this was reflective in the level of service and care that was provided to you throughout your stay. Thank you for taking the time to share your experience; I will be certain to pass along your feedback, as I am confident that the team will also be pleased to hear it.Thank you for your loyalty and We look forward to welcoming you back very soon. Kind Regards, Udaya Herath,Assistant Guest Service Manager. It is always a pleasure to stay at Somerset on Elizabeth. Reception staff are really friendly and helpful. They do make a point to remember you and try to accomodate with your request. I had several bookings on different platforms as we are a family of 7 with 2 young children. I am glad that they willing to arrange us to be at least the same level knowing their occupancy rate is pretty high. Located at Elizabeth Street, gives us many options like free city tram (if you are lazy to walk) to Queen Victoria Market and walkable to many shopping area. They are also located near Chinatown which does help to provide late dinners if you forgot that most eatery/restaurant closes pretty early. Their wifi connectivity is fast and good too. Dear Agnes, I am thrilled to hear that you had a pleasant stay with us. We have a very passionate team, here at Somerset on Elizabeth, and I am extremely proud that this was reflective in the level of service and care that was provided to you throughout your stay. Thank you for taking the time to share your experience; I will be certain to pass along your feedback, as I am confident that the team will also be pleased to hear it. We look forward to welcoming you back very soon. Kind Regards, Udaya Herath,Assistant Guest Service Manager. Dear Hong, Thank you ever so much for taking the time to post on your review of your first visit to Somerset. I am so happy to see that you had such a great stay and found the rooms so great as well as the team so helpful throughout your stay. Great to also see that our location worked so well for you. Thank you very much for recommending us to your family and friends. The team at Somerset look forward to seeing you back with us here when you are next back in Melbourne. Kindest regards, Udaya Herath Assistant Guest Service Manager. 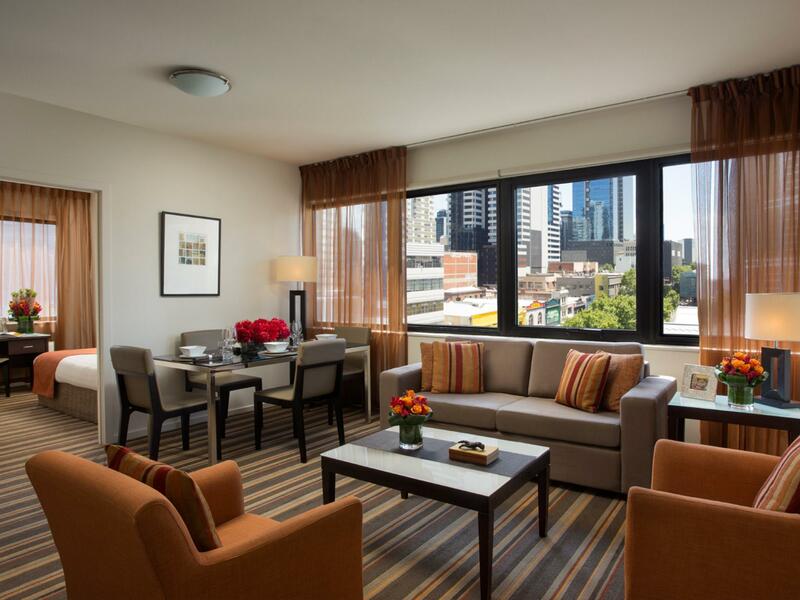 Dear Yohandi, Thank you for taking the time to share your thoughts regarding your recent experience at the Somerset on Elizabeth Melbourne.What a wonderful way to describe our hotel as “Best service apartment in Melbourne CBD”!. We certainly take pride in offering great service and facilities to our guest and your feedback demonstrates that our continuous efforts have been recognised. 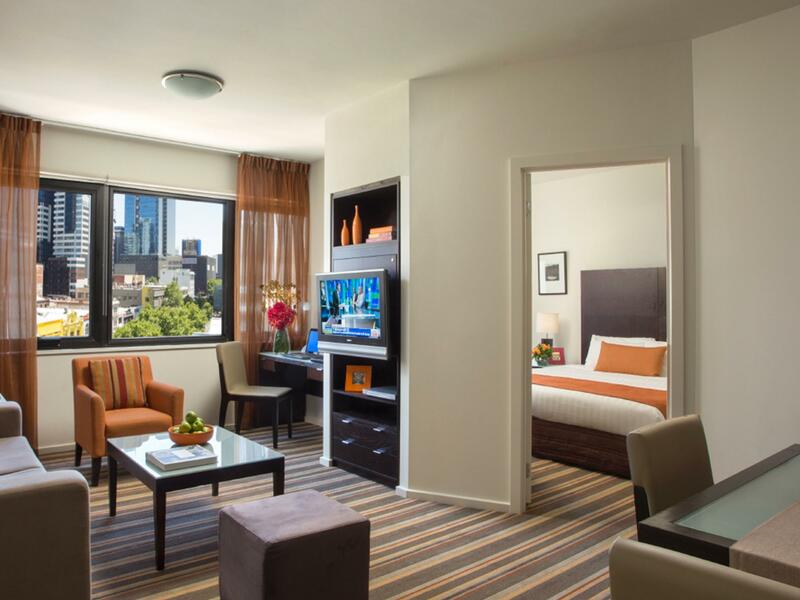 We look forward to welcoming you back next time you travel to Melbourne. Udaya Herath,Assistant Guest Service Manager.